Sitting on land that is 2,000 metres above the sea level; the Jabal Akhdar lies amidst the rocks of the Al Hajar Mountain Range. Formerly known as the capital of Oman, Jabal Akhdar means Green Mountain in Arabic. Pretty much surrounded by barren land and desserts, this mountain still possesses a green environment with a Mediterranean climate and therefore, was named aptly. The mountain rests on the Great Saiq Plateau and beneath mountain range; there is a maze of freshwater oasis’ which makes for great fertile grounds. 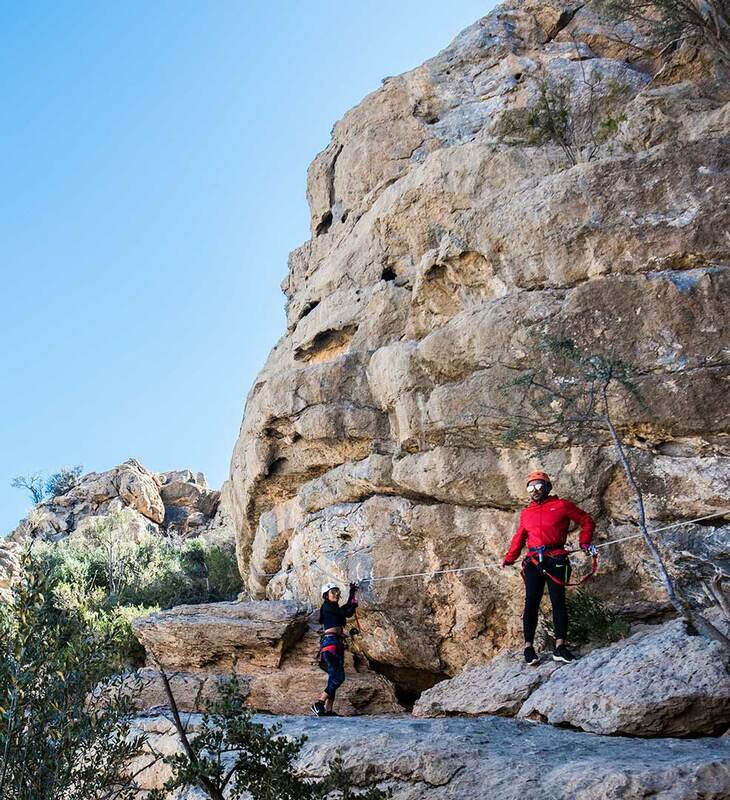 The mountain range is about 2 to 3 hours away from many an Oman resort the likes of Alila Jabal Akhdar Oman and has a popular hiking and trekking trail which also has many caves that are waiting to be explored. The view from the peak is from a height of 3,075 metres and is mind-blowing, to say the least. All you see is green and brown as far as the naked eye can go and the best time to climb and reach the viewpoint is for sunrise or sunset as the afternoons spent outdoors in a desert area can be hot and make you dehydrated or sick.